This post brought to you in partnership with Sony Home Entertainment. I really wanted to schedule in something really fun (and simple!) to do so we made giant bubbles as a family! 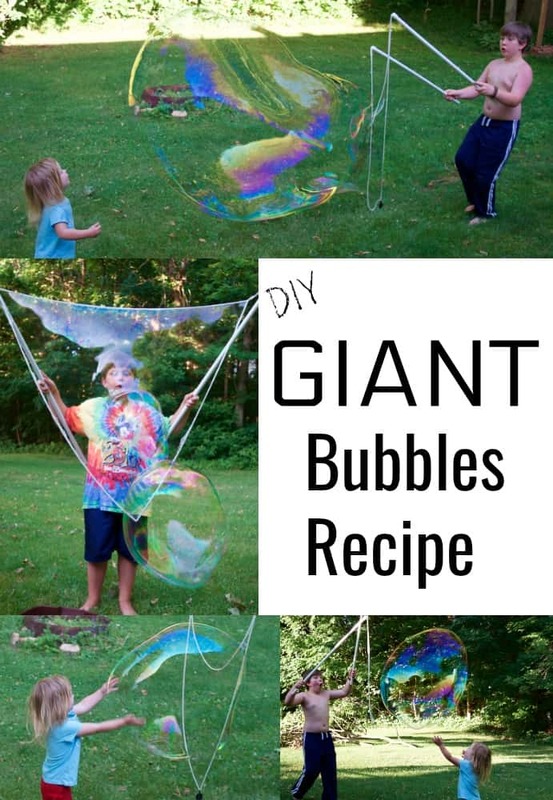 It’s REALLY easy to make so check out our recipe below to see how to make giant bubbles! After all the years my kids have enjoyed the Teletubbies I had no idea there were so many developmental benefits by joining in on the Teletubbies fun! My 2 1/2 year old daughter LOVES Teletubbies and really interacts with them when she watches an episode! 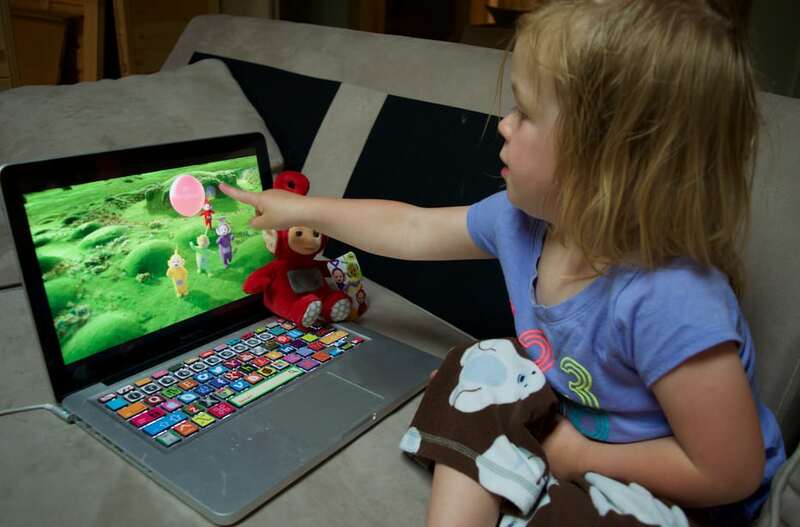 She kept trying to pop the bubbles on the screen just like we did when we were outside playing! She chased and popped bubbles just like the Teletubbies and then did the Tubby Phone Dance! It was the perfect completion to an afternoon focused on bubble exploration! 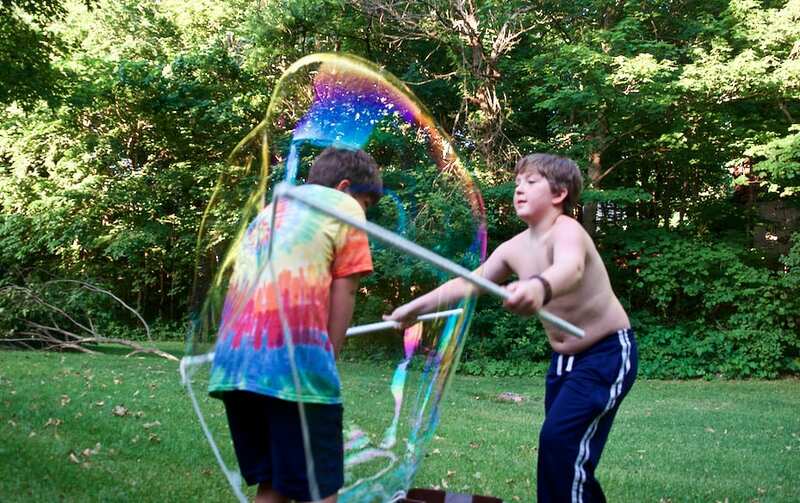 Check out some of our fun below and make your own fun with this DIY Giant Bubbles recipe! Slowly add each of the ingredients above into a bucket (the wider the better but we used a mop bucket because it’s all we had). Once everything has been added slowly stir ingredients together – you don’t want it to bubble up. I just slowly dragged a spatula through my mixture for a few swirls. 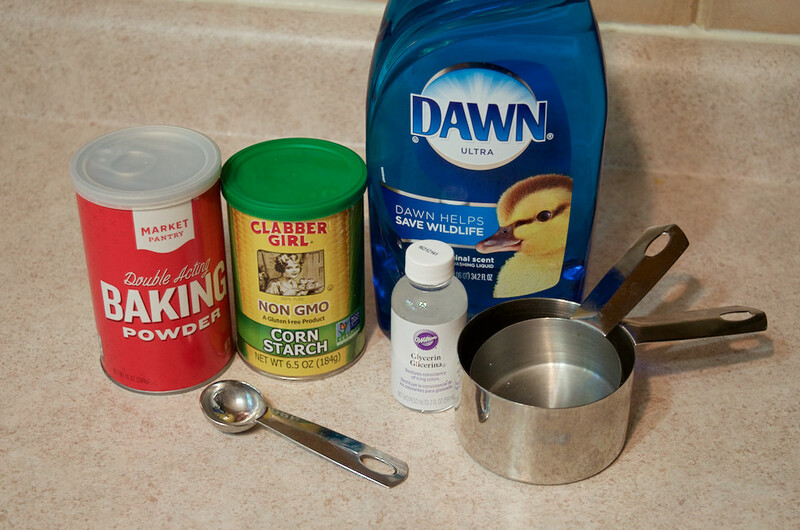 TIP – I know I know, it seems crazy to add so much cornstarch into the mix but I SWEAR it works! I thought it was nuts too. Just slowly sprinkle it all over the place in the order I listed above. And if you aren’t sure where to buy Glycerin from it is usually located near the cake decorating supplies at the craft store or you can buy it on Amazon here. 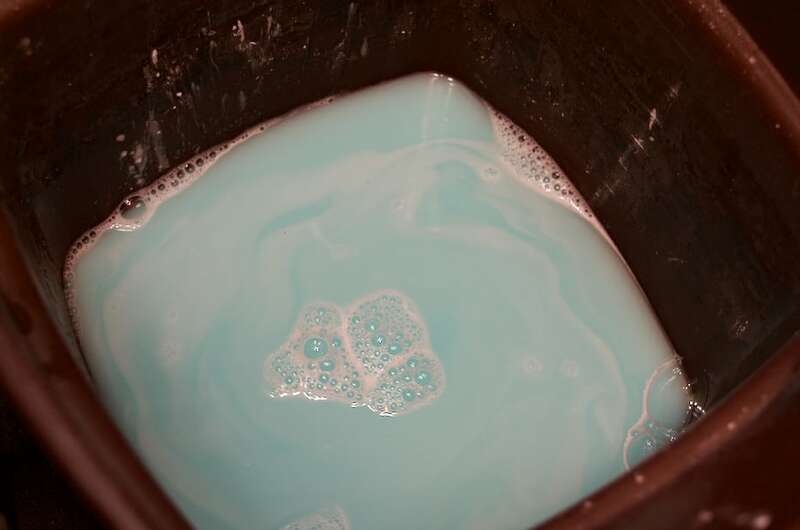 This is exactly what my DIY giant bubble solution looked like as soon as I was done mixing it. I was still pretty skeptical is would work but it ended up being FANTASTIC! When doing this recipe make sure to let your kids help you – even if they are just 2 years old! 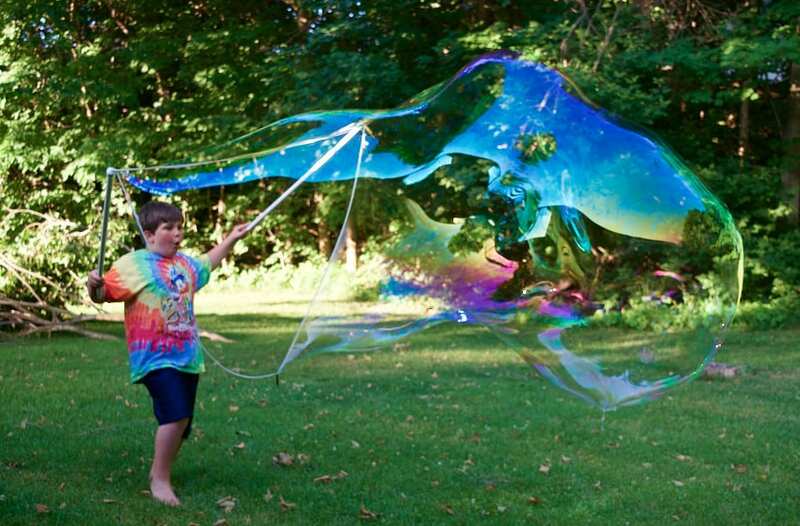 Should I Buy a Giant Bubble Wand? 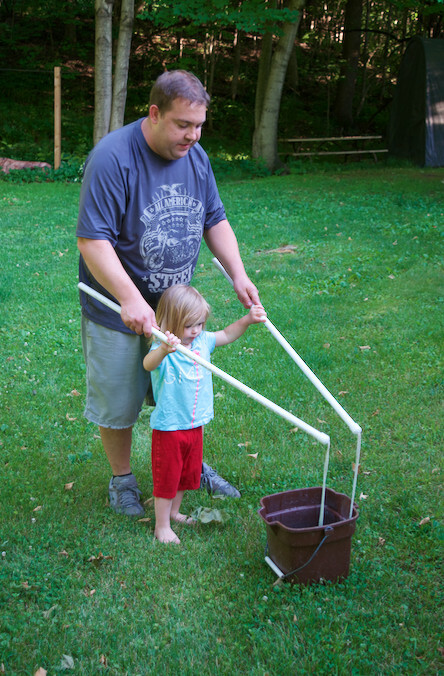 We received an awesome homemade GIANT bubble wand which you can easily make with PVC pipes and rope (there are all sorts of tutorials on Pinterest for this)! It was a BLAST!!! I took TONS of pictures because it was so fun! It took a few minutes to get the hang of it (probably because our bucket was so small!) but my kids were outside over an hour trying all sorts of crazy things! Challenge yourself to see if you can put yourself into a giant bubble! I definitely recommend either making your own or purchasing one. Even though my 2 year old was far too short to make really giant bubbles with the wand we received she did pretty good at making some bubbles! It was really interesting to see her mind working as she played with the wand. We made sure to leave plenty of time for her to explore the bubble bucket on her own! 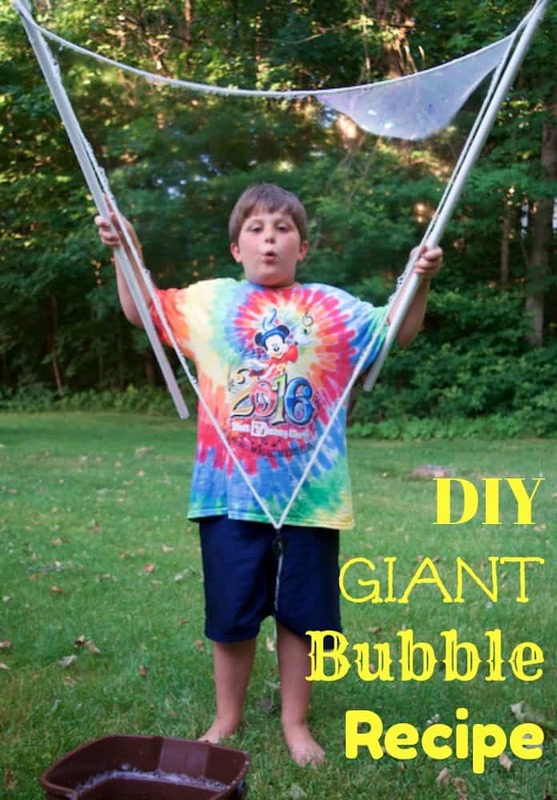 The craft below is perfect for letting kids design their own bubble wands! 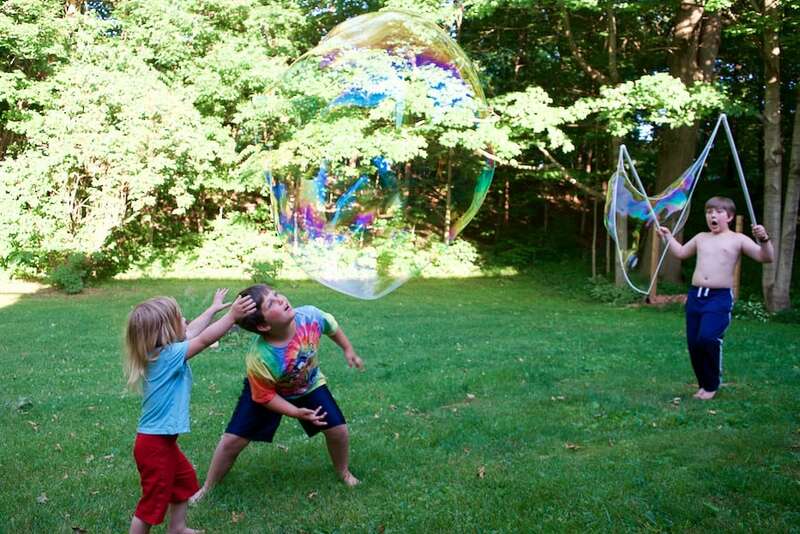 But first check out some of the INCREDIBLY AWESOME GIANT BUBBLES my kids made! WHOA!!!! I could NOT believe how COOL these giant bubbles turned out to be! The kids tried all sorts of shapes, styles of waving the wand, going inside of the bubbles, etc. It was pretty impressive! *Grab a straw, add some food dye to your bubble solutions, and blow bubbles onto white paper! *Grab a pile of pipe cleaners and design your own bubble wands (see below)! 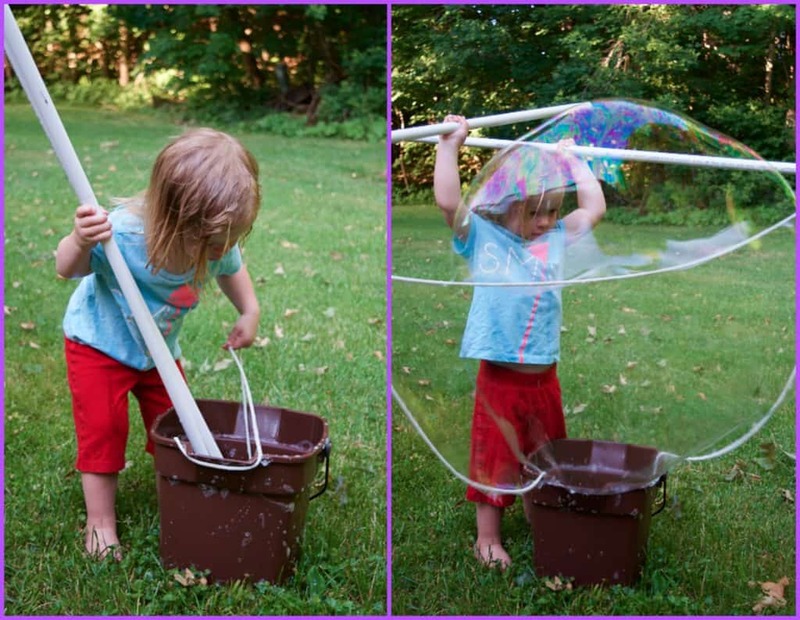 *Fill the bottom of a plastic kiddie pool with bubble solution and use a plastic hula loop as a giant bubble wand! Lay out a selection of pipe cleaners. They don’t need to be the fancy metallic ones or anything – plain old fuzzy pipe cleaners will do. Begin by folding a quarter of the pipe cleaner and twisting it around to make a handle. This will make it easier for young children to hold. You can add beads onto the handle if you want but be aware of choking hazards. Start by designing some simple shapes like circles, triangles, or squares. Then get creative and make your own designs! Try combing two pipe cleaners and shapes together and see what happens! Make sure that your pipe cleaners are looped together so there is no open end! If your pipe cleaner does not connect then you won’t be able to make any bubbles! Be careful to ensure that the metal tip of the pipe cleaner is wrapped around itself well and not poking out so you don’t get scratched! When you’re done hang them out to dry and use them again later! You can find the Teletubbies on Facebook, Twitter, and Instagram! Lala is my favorite Teletubbie. This was my daughter Arianna’s favorite show. We like Po the best. My nephew loves Dipsy the best. Thanks for the giveaway. I hope that I win. I think he would really enjoy this? Our favorite character is Po. Muy daughter loves watching teletubbies. Her favorite is Po. My favorite teletubby character is Tinky Winky! He is the first teletubby. Tinky Winky is our favorite! My favorite is La La! It’s all about Po for me. Thanks for the giveaway! La La is the best! My kids just love Po! Thanks so much for the giveaway and the chance to win. Oh his favorite is Dipsy! I am so glad these are coming back so strong!!! Our little one loves them so much! My kids love bubbles. Have not had much success with making own huge bubbles. Will definitely try this. My kids like Po and Dipsy.